We still have a few tickets left to hear David Cameron, the former Prime Minister of the UK, speak in Rapid City, SD, on Oct 9th, that’s Monday, at 7:30 pm at the Rushmore Plaza Civic Center. Tickets to the event sold out almost immediately. 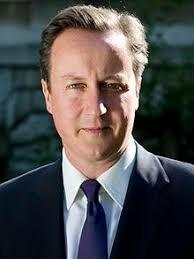 If you missed out securing a seat and would like to hear Cameron speak, we would like you to be our guest. They are available for the personal use of KFG clients on a first come, first served basis. Email us at help@kahlerfinancial.com.